Printmaking is as old as Nepal’s history itself, and printmakers have brought fame to the country by winning many international competitions. For all that, little is known about printmaking here. 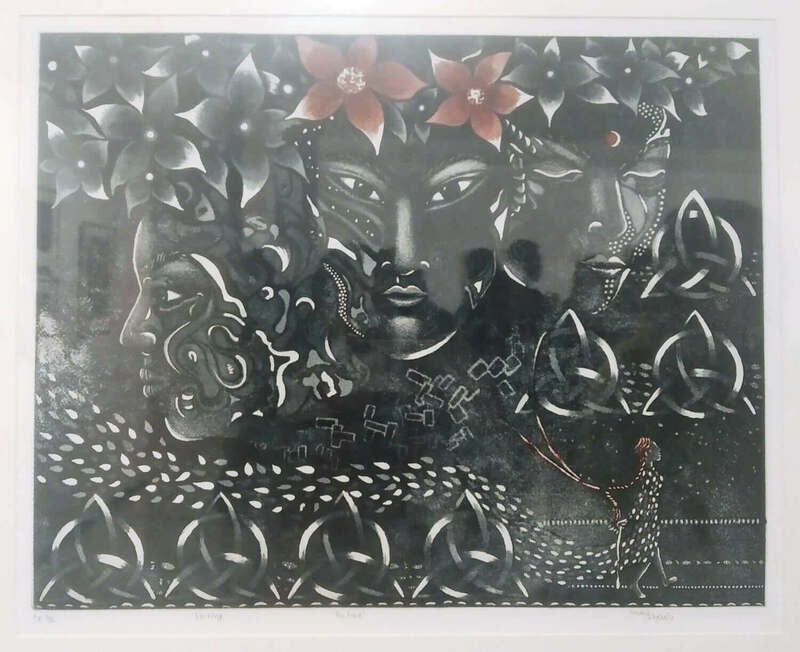 An exhibition at Siddhartha Art Gallery titled Seduction of Printmaking, organised by Print Making Nepal Artists’ Collective seeks to change that. 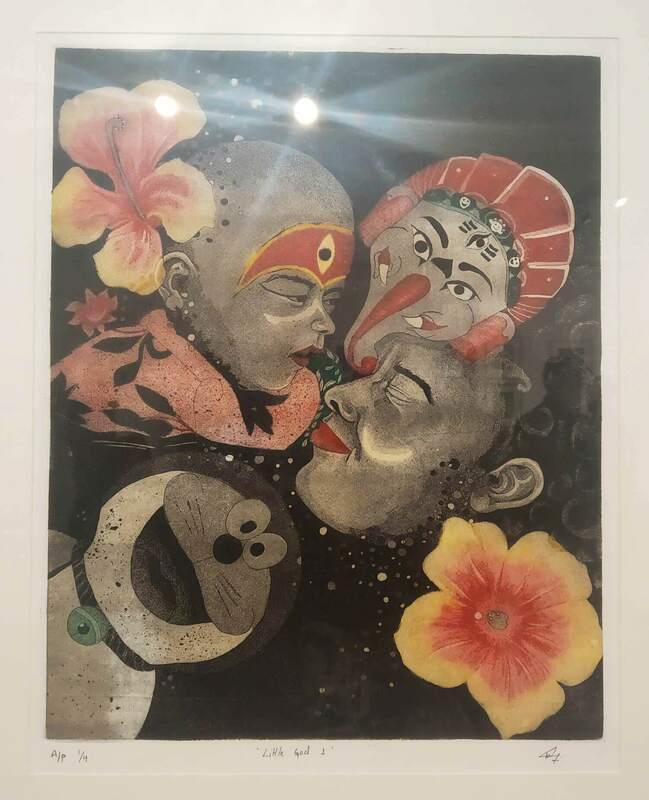 The exhibition features prints by more than 30 artists, reflecting various genres: from traditional arts like Paubha and Mithila art to contemporary pieces on nature and urban life, and fusion works as well. While the pieces are a delight to see, the exhibition is also an opportunity to understand the complex arts of printmaking. The pieces may look like paintings, but in fact, prints are created through a variety of complicated processes. Some methods require carving the basic shape on wood, painting it in colours, and stamping it on paper. In others, motifs are etched on metal and the art emerges by applying acid to the metal which erodes it into different patterns. Still others require the use of a printmaking machine. 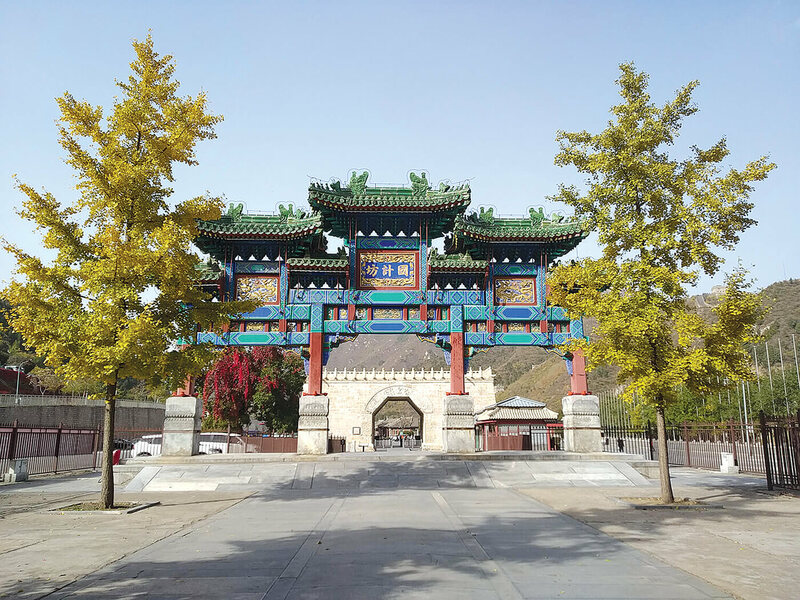 Prints started out in China and Japan and were used to illustrate Buddhist texts, but now have spread all over the world. Printmaking is quite difficult and expensive too, as it requires equipment and tools. 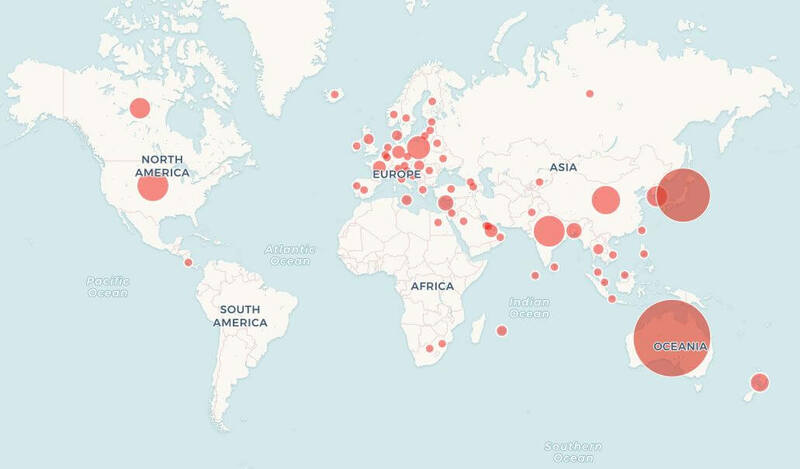 Until recently, there were only a few private printmakers in Nepal, but now the Printmaking Association has acquired a machine that can be used by all printmakers. Set up in 2017, the Association seems to have succeeded in pumping some fresh blood into the printmaking community. Senior printmaker Birendra Pratap Singh, who was the first person to own a printmaking machine in Nepal, had not made a print for 18 years. But he was energised to make one for this exhibition. 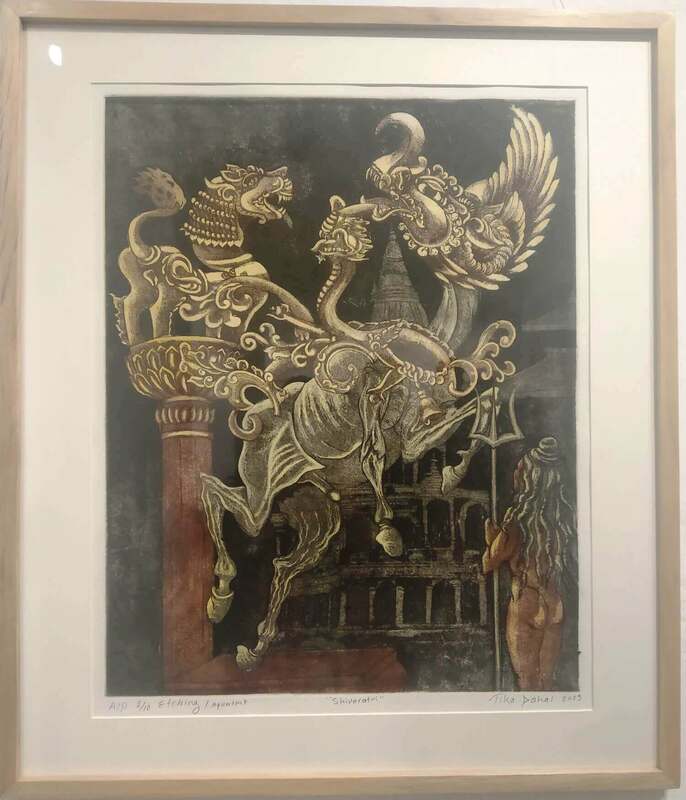 The exhibition has also managed to rope in renowned non-printmaker into making prints, like the Paubha artist Lok Chitrakar and Mithila artist SC Suman.